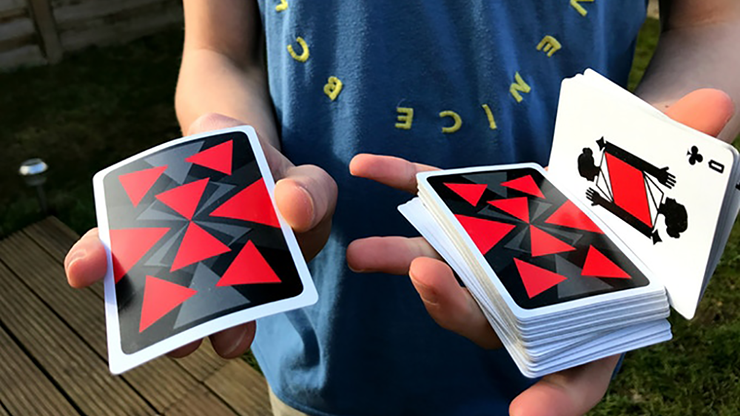 Nyx Reds Playing Cards springs forth with a premium geometric back design, making your deck quite unique. We composed it as having equilateral triangles, to add more flare to your spins and aerials. 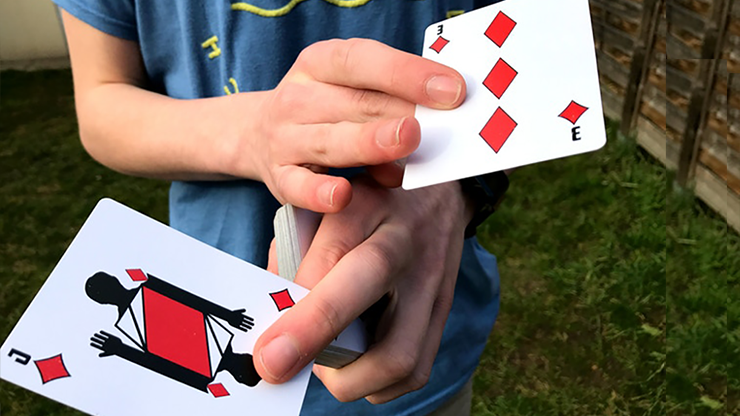 These triangles are strategically placed to spin around the center of the card, and therefore around the center of the card's rotation to create a pronounced effect. 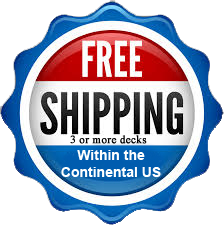 This also adds to your deck's uniqueness. The back design features few colors but calls attention to multiple shades of grey. We made sure during the whole process that the red pops out from the rest of the design, giving your flourishes a distinctive look, so you can perform with style. The faces are left fairly simple, accenting the same shade of red as on the back design. 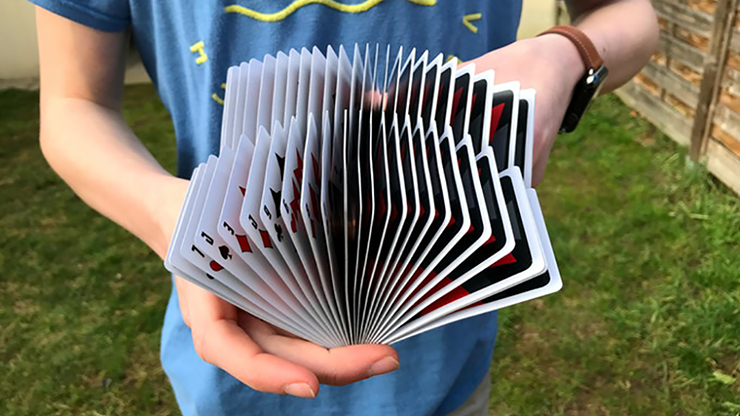 The index is left standard, to easily differentiate the cards if the deck is used for magic or card games. We decided to create all the pips with triangles to support our unique and amazing theme that will supplement your flourishes. Pip placement is fairly standard to facilitate their reading. The court cards participate in the theme as well, being very geometrical. They are also left simple and minimal to catch eyes without overwhelming the audience. 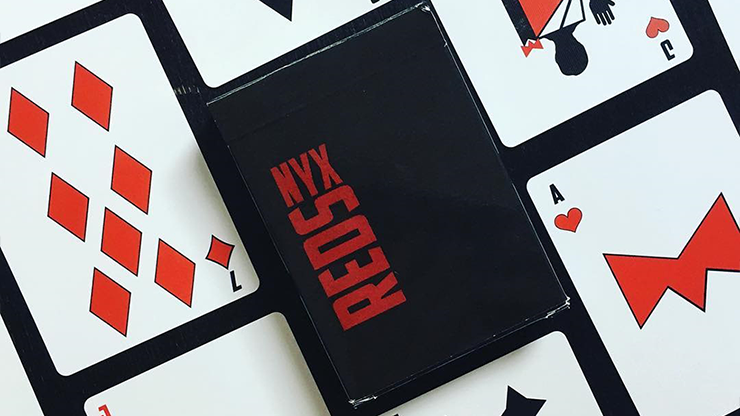 Nyx Reds is printed by the United States Playing Card Company, with the renowned Air-Cushion finish. This finish will guarantee outstanding handling, so you can perform with total comfort. 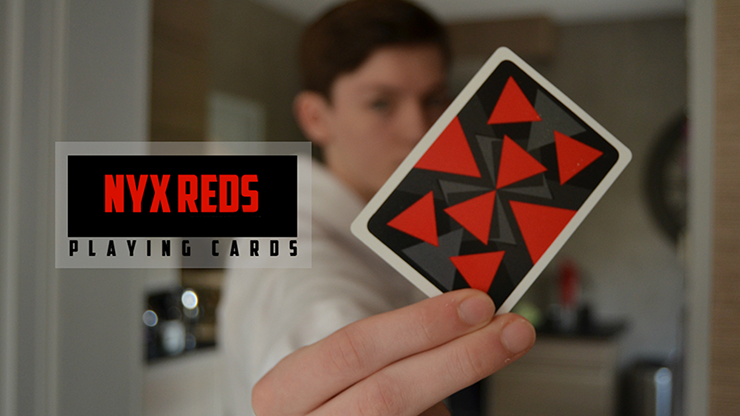 Our cards also have a thin card stock, giving you complete control over your cards. Even though our stock is thin, it stays snappy - which everyone likes.